455HP/12SPD-I SHIFT/WORKSTATION/2 BUNKS! 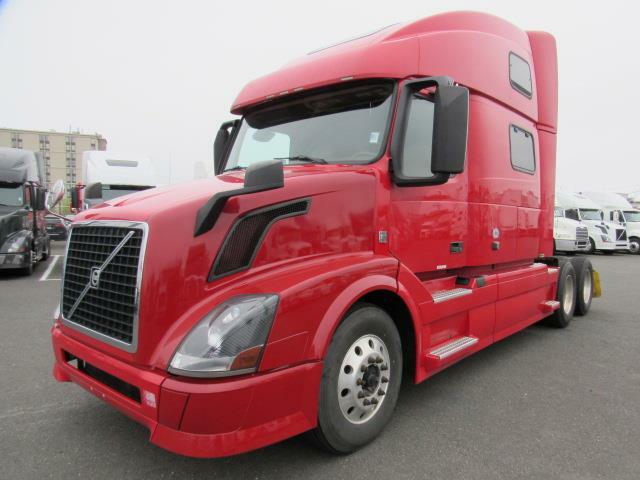 Top of the line Volvo 780 with spacious sleeper, lots of storage, ergonomically designed to increase visibility, reduce noise and increase visibility all around, keeping driver comfort and safety foremost. Powered by the reliable and quiet Volvo VED13 high torque engine and Volvo 12 speed I-Shift automated transmission to haul heavy loads with ease. Hood mirrors to reduce blind spots, fog free heated power mirrors, power windows, lots of hook ups for fridge, microwave or TV, comfortable seating for 4 with a workstation table and seating for four, 2 spacious bunks, two air ride comfort seats, free limited power train warranty, fresh PM Service and Federal DOT inspection, truck is expertly detailed and ready to go. Come on in for a test drive today.